As a part of the deployment and integration process we offer training for your developers and end users. We offer training via email, Skype conversations and, if needed, on-site. The code is very well documented and structured in understandable blocks. However, to ensure the most effective results, we will guide you through any challenge or implementation specifics. We are sure it’ll be pleasant to work with our code. 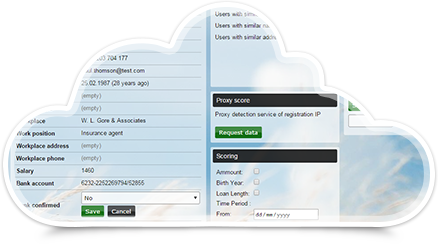 Although the internal workings of CloudCredit are quite sophisticated, its architecture allows for configuration and feature addition while keeping a simple, intuitive interface. Since we’ve done extensive testing and use-case analysis, we’ve created an interface that people just “get”, so usually no extensive technical training for end users is needed.